WHITTLESEA-based trainer Peter Morgan has another smart one in his stable in Super Snob. The three-year-old daughter of Toorak Toff and Superfly made it two wins from her past three starts when she was most impressive in winning at Bendigo last Wednesday. Sent out a $3.60 favourite, the filly, ridden by apprentice Beau Mertens, blitzed the opposition in taking out the $25,000 MyPunter.com BM64 Handicap (1400m), defeating Linguist ($15) by 2-3/4 lengths with Fast ‘N’ Rolling ($15) a further 1-3/4-lengths away third. 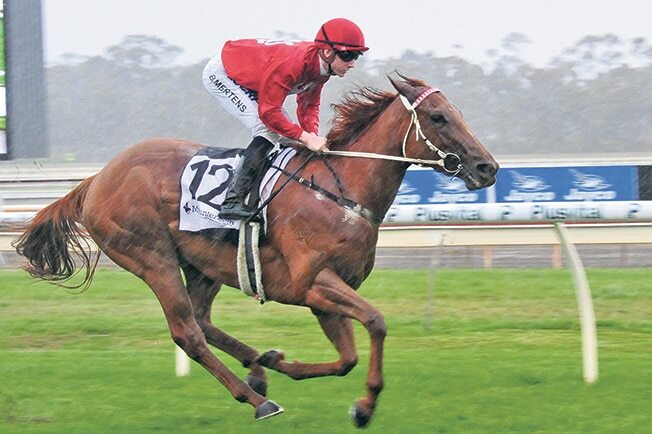 “She jumped out well and a great ride by Beau. I would have been very disappointed if she had of got beat as the plan was to go to Caulfield (Cup Day) with her,’ Morgan said. The filly was purchased by Morgan for $90,000 at the 2016 Magic Millions Gold Coast Yearling Sale for long-time stable clients Bruce Mathieson and Rick Smith. Anthony Mithen’s Rosemont Stud who bred the filly retained a share. Super Snob has now won two races with four minor placings from her 10 starts.